Acne is the most common skin condition in the United States. While this condition may sometimes be a source of embarrassment for the people that suffer from it, it can usually be resolved with the right combination of topical and in-person treatment from a skilled clinician. At the Dermatology, Laser & Vein Center, we are committed to helping all of our patients look and feel their best by providing them with the highest standard medical and cosmetic dermatological treatments. If you’d like more information about our practice or are interested in scheduling a consultation appointment, contact us today. Acne is a condition that develops when the proper functioning of the oil glands in the skin is disrupted. In healthy skin, dead skin cells rise to the surface of the pores and are expelled from the body. However, when the oil glands within the skin become overactive, they begin to produce excess amounts of a substance called sebum. Sebum causes dead skin cells to stick together inside the pore, causing them to accumulate quickly. This irritates the inside of the pore and often results in the formation of cysts. Acne can also be caused by the accumulation of the bacteria P. acnes within the skin. As this bacteria multiplies, it can irritate the pore and cause it to become inflamed. This inflammation often causes cysts to form. While acne most typically develops in the teens when the sebum glands are most overactive, it can develop at any stage of life. Because the risk of acne is always present, it’s important to establish a regular routine to keep your skin healthy, clean, and hydrated. To help ensure that our patients are using high-quality skin products on a regular basis, we offer an effective selection of cleansers, toners, sunscreens, and moisturizers. 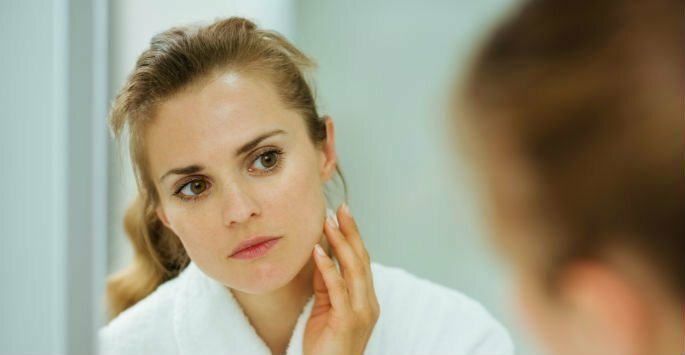 In addition to at-home topical treatments, we offer our patients a wide variety of treatments that can both improve the appearance of existing acne and prevent the development of additional acne. Suffering from acne and looking for a solution? We can help! Led by the experienced Dr. Shalini Gupta, Dermatology, Laser & Vein Center is proud to provide personalized and comprehensive skin care to all of our patients. If you’re seeking out treatment in the Montgomery, Remington, Highpoint, Sixteen Mile, Sharonville, Kenwood, Milford, Covington, and Cincinnati areas of Ohio, contact us today!